MOSCOW, May 5. /TASS/. 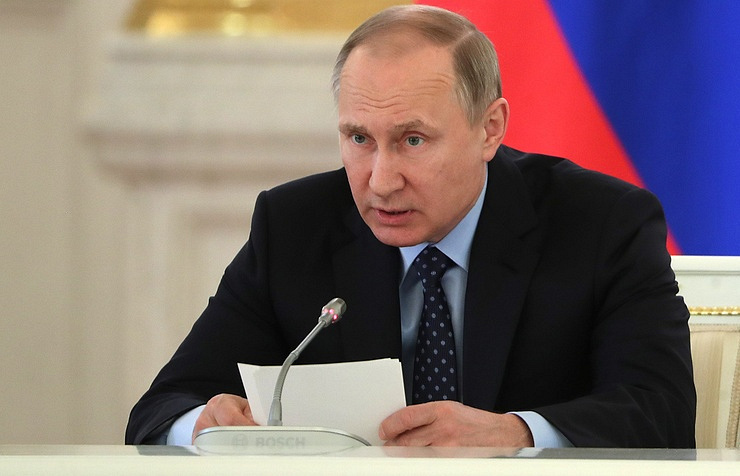 Russian President Vladimir Putin has promised Human Rights Ombudsperson Tatyana Moskalkova to discuss the civil rights issue of LGBT residents in the North Caucasus with Prosecutor General Yuri Chaika and Interior Minister Vladimir Kolokoltsev. "Of course, I will talk with the prosecutor general and the interior minister, so that they support us on this matter concerning the rumors on what has been happening to people with non-traditional sexual orientation in the North Caucasus," the president said at a meeting with the human rights ombudsperson. Moskalkova informed the president that she had recently been tackling violations of LGBT people’s rights. 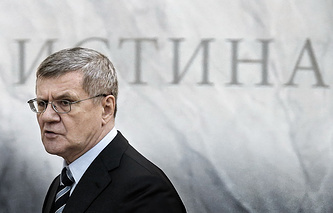 "I have forwarded a number of requests to the prosecutor general’s office and investigative agencies. I would like to ask you to hand down instructions on setting up an inter-agency working group that would be active here in Central Russia instead of Chechnya and receive people’s requests if any are made," Moskalkova said addressing the president. Yuri Chaika: To each according to his deeds! According to the human rights ombudsperson, at present, probes into violations of LGBT people’s rights in the North Caucasus are hampered by the fact these people are not ready to give their names. "At the same time, our law on witness and victim protection allows to use powerful state tools to protect them, particularly protect their identities and even issue new IDs for them. When they are ready to step forward, then we will be ready to protect them and restore their rights," the country’s human rights chief added. Russia’s Novaya Gazeta daily brought up the issue of gay people’s rights violations in early April. In an article entitled Honor Killing, the daily reported, citing anonymous sources in law enforcement agencies and unnamed victims, that some residents of the North Caucasus region of Chechnya were detained and allegedly killed over their non-traditional sexual orientation. However, Chechnya’s Council for the Development of Civil Society and Human Rights said that after assessing the situation it had found neither direct nor indirect evidence to back up these allegations.